Globalization continues to open up opportunities for organizations to increase efficiency and drive productivity through executing projects remotely and working with geographically distributed teams. This is no more apparent in any part of the business than in the area of Information Technology (IT). Information technology groups are consistently executing projects in multiple geographical locations, both within the organization, and externally with vendors and partners around the world. 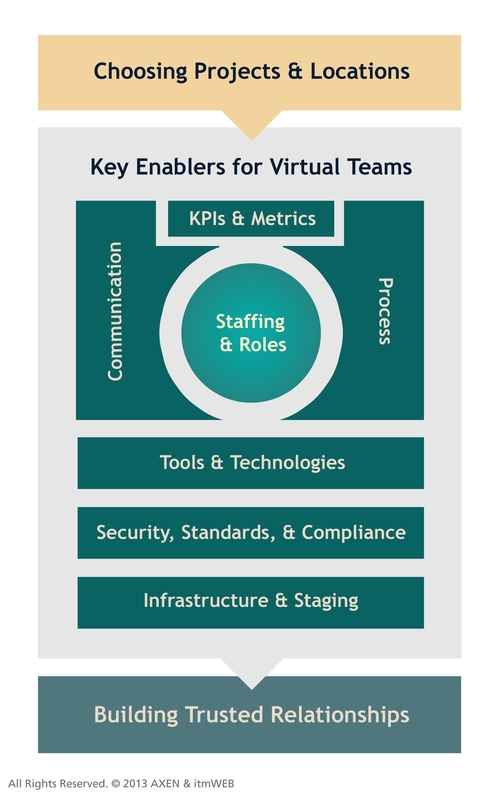 This trend toward utilizing more virtual teams is changing the role of CIOs, IT Directors, and IT Project Managers to require more expertise in managing geographically distributed teams. Regardless of whether an IT project is being executed across the city or across the globe from the organization’s IT headquarters, today’s IT leader is required to have an in-depth understanding of the methodologies, tools, and best practices related to remotely executing projects. For instance, how does one create synergy among workers in different time zones as they would those working in their IT headquarters? How does one manage the risks brought on by these new challenges and ensure that their project is a success? This guide will help you in making the right decisions for your organization to achieve the most value from working through virtual teams for IT projects.